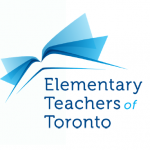 The environmental filmmaking workshops for elementary teachers in the Toronto region are back! This FREE series is offered to educators to develop media literacy skills necessary to use filmmaking as a teaching tool. All TDSB K-8 classes can submit their completed student-made environmental films (under 4 minutes) for consideration to the Student Film Festival that will take place at Hot Docs Ted Rogers Cinema on June 5, 2019. Take a look at the 2018 Student Film Festival blog for more details about the final event. Details on the submission process are available here. To register for the 2019 Eco-Film Lab Workshops, click here. This series of workshops is designed to take you through filmmaking techniques and the tools and equipment for shooting, recording sound and editing. For the purposes of teaching in the classroom, we will work with the iPad as a complete system for shooting and editing. Online resources for preparation will be provided in advance to educators to maximize the time and experience of the workshops. Sessions are scheduled to follow the filmmaking process as you go along. Session 1: Pre-Production Elements – Wednesday, February 27, 2019 at 4:30 – 6:30 p.m. This important introductory session focuses on the many ways to tell a story with both traditional and creative approaches. We will examine 3-act structure, genre, theme, interpretive story telling and the use of metaphor. The workshop will explore the different pre-production stages of filmmaking to prepare your class for filming. Focus of the day will be Development (research & scriptwriting), Prep (storyboarding, assigning roles, testing equipment, setting up production elements and interviews). We will also learn the many roles of the process so that students can participate in areas of the process that will most successfully engage them. This session will provide an overview of the filming process from both creative and technical perspectives, and covering ways to manage & organize footage for editing. Using the iPad as the basis, we will cover the equipment and techniques necessary for shooting picture and recording the best possible sound. This will be a hands-on workshop with a strong focus on good cinematography practice exploring techniques for framing, camera movement, lighting and how best to cover a scene or interview and telling the story through the camera. In this session we learn from a professional editor how to best express the story through the editing process as well as the kind of footage you will need in hand to be able to shape and express the through-line. We will also explore music choices and how they affect the style and tone of the film, while beginning to piece together your projects in iMovie.